The return from advertising is impossible to predict, so we minimise the risk by delivering adverts to the widest area at the lowest possible cost. We work with six LIFE Magazines currently, with a total combined distribution of 28,000 (26,000 door-to-door and the remainder left at 150 sites in 40 villages for collection). Extremely competitive rates are available for advertising in just one of the magazines or, in 2 or more of the six magazines. LIFE Magazines are community-led and contain information about local activities, clubs, good causes and other information etc. relevant to their local community. 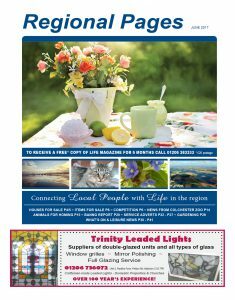 In addition the Regional LIFE pages, which occupy the centre pages of all six magazines, feature regional news and stories plus both the popular What’s On pages and Service Adverts. This is the perfect place to advertise if you want to reach a wider audience, covering all six areas. We will always strive to provide an advertising package to meet your budget and also offer a FREE advert design service to those who need it. Leaflet delivery can also be arranged across the whole distribution area, from just £15 per 1,000 (for our advertisers) and £20 for non advertisers. Please call us now on 01206 386666 to discuss your needs further.